Iranian Christian Converts, Amin Afshar Naderi and Hadi Askari charged. Hadi Askari (40) a Christian convert from Islam, has been granted conditional release from prison in Iran after posting bail. He left Evin Prison on Wednesday 11 April after twenty months’ imprisonment and is now waiting for his appeal against his ten-year sentence to be heard. Praise God that despite being under pressure to convert back to Islam, Iranian believers Amin Nader Afshar and Hadi Askary, who both have long prison sentences, are reported to be firm in their faith! 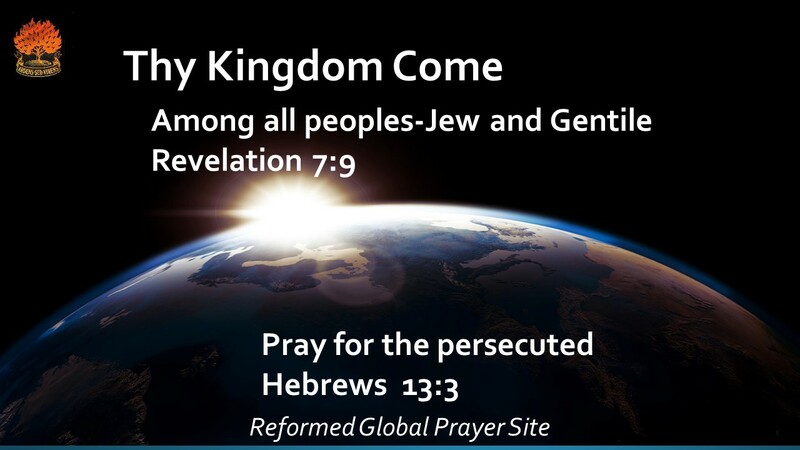 Pray that their appeals will succeed. Please also pray for our Iranian brothers Eskandar Rezaei and Suroush Saraei who were each sentenced on December 28, 2017, to eight years in prison. They are now appealing their sentences: pray their appeals will be heard swiftly and be successful. Pastor Victor Bet Tamarz (10 year sentence), Amin (15 years), Hadi (10 years) bail £46,000 each. Lawyer will appeal. IRAN – Two Christian converts have finally been charged by the authorities, seven months after being abducted by armed men as they picnicked with their families. 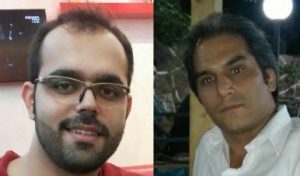 Amin Afshar Naderi and Hadi Askari, both converts from Islam, have been incarcerated in the notorious Evin prison since September. Both men have been convicted for ” acting against national security” and “organizing house churches”. They have filed appeals. Pastor Victor Bet-Tamraz is on bail. May the two men recover from hunger strike and their sentences be repealed. The Iranian government brutally represses Farsi-speaking (i.e. Muslim background) churches, often called house churches. The persecution of Iranian Christians worsened in 2016. Earlier this week, two Christian converts who have been in prison since August 2016 ended their hunger strike after being promised medical care and progress in their case. On 5 February, Amin Afshar Naderi (on left of image) and Hadi Askari (on right) went on hunger strike to demand medical care and to protest about delays in their case. No charges have been brought against either man. Iranian Christian Amin Nader Afshar (pictured) is currently in prison in Iran for the second time in two years simply because he became a follower of Christ and seeks to live out his faith in his community. Amin, together with several Christian friends, was arrested in August 2016 and remains in custody with no immediate prospect of release. Please pray for this dear brother, his family, his two Christian friends also incarcerated in Evin prison in Tehran, and for many other Iranian prisoners of faith. 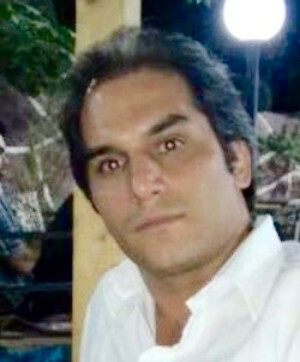 Further updates reveal that Christian convert prisoner, Amin Afshar Naderi is still being held in Evin prison, despite earlier reports about his release. Mohabat News – On October 19, 2016, a report came out of Iran that three of the five Christians arrested earlier in Firouz-kouh county, had been released. However, follow-up efforts have revealed that one of the three Christians previously thought to have been released, Amin Afshar Naderi, is still being held in prison. Knowledgeable sources told Mohabat News that the other two Christians, Mohammad Dehnavi and Ramil Bet-Tamraz, son of Pastor Victor Bet-Tamraz were in fact released on bail, while their fellow believer, Amin Afshar Naderi still remains in prison. As previously reported, the two Christians who were in fact released, had to post very heavy bails. They will be released until the day of their trial. As of now, three of the five believers still in prison are Amin Afshar Naderi, Amir Saman Dashti and Hadi Asgari, none of whom are officially charged yet. There are no further updates on their case and how long they will be held in prison in uncertainty. Keeping political prisoners and prisoners of conscience in prison without any official charge is a known tactic of the Iranian government in order to pressure such prisoners. These five Christian prisoners had been arrested on August 26, 2016 in a raid on a family gathering in Firouz-kouh county. Reports from that incident state the plain-clothed security authorities beat a number of those attending the family gathering and after arresting five of them, they left their families with no news on the whereabouts of their loved ones. Their families said they checked with many prisons across the country but they were told such names are not registered as official prisoners in their system. As many Iranians have shown incredible interest in Christianity in recent years, the Iranian Islamic regime has ramped up its campaign to crack down on Iranian Christian converts and prevent the spread of house church gatherings. Iran falsely sees its citizens’ conversion to Christianity as a threat to its existence and national security. This entry was posted in Iran. Bookmark the permalink. ← North Korea-pastor Kim Kuk-gi.